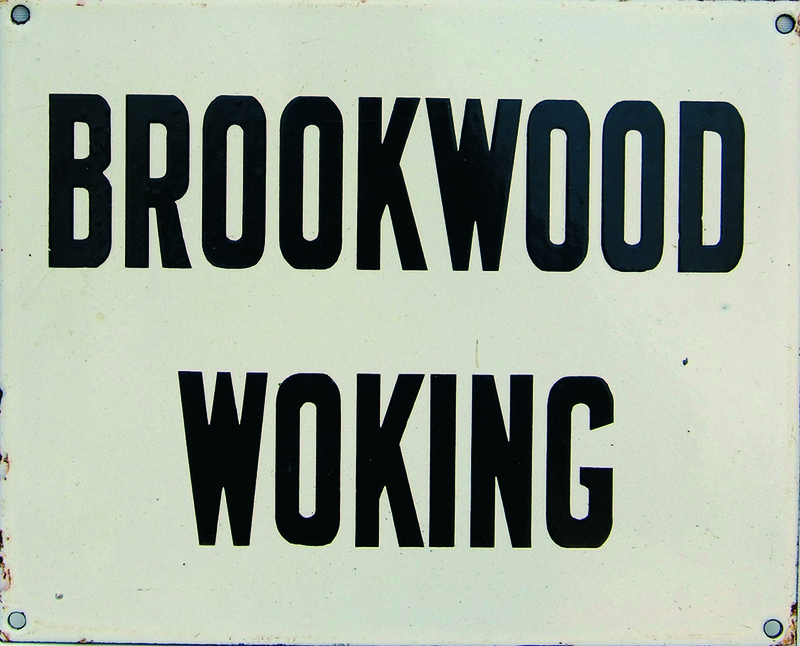 LSWR enamel Destination Indicator Plate BROOKWOOD and WOKING. Black lettering on white ground measuring approximately 10 x 8. Excellent condition throughout.